Queen Sugar is back. Variety reports season two of the OWN TV series will premiere in June. From Ava DuVernay, the drama follows the estranged Bordelon siblings who must come together to try to save the family sugarcane farm. The cast includes Rutina Wesley, Bianca Lawson, Dawn-Lyen Gardner, Dondré Whitfield, Ethan Hutchison, Glynn Turman, Greg Vaughan, Henry G. Sanders, and Kofi Siriboe. 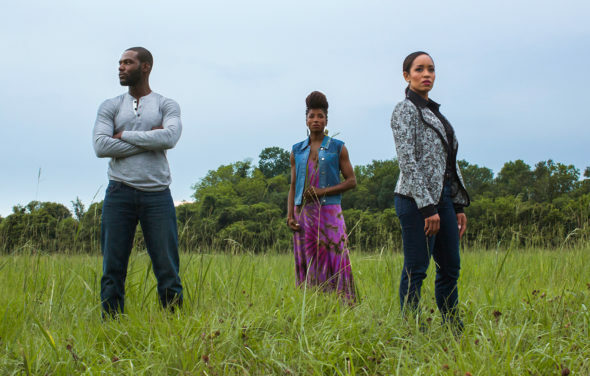 Season two of Queen Sugar debuts on OWN on June 20th. What do you think? Have you seen Queen Sugar? Will you watch season two? I LOVE THIS SHOW!! Im addicted. I was channel surfing. Stopped on this a few weeks ago and I am hooked. I watched season 1 in a day so I could catch up. I’m already panicking because I read it was going to be cancelled after season 2. Queen Sugar Excellent show. It is the best. Congratulations to the writers and the cast for doing an incredible job. I will watch. Great show! One of my faves! Glad its returning. Definitely love the show can’t wait till June wish it was sooner. I Love this show! Can’t wait for season 2. Cant wait for Season 2 to come on. Love the cast and Nova is my favorite on the show.